Bridging Borders is a six-episode series produced by Wavelength Entertainment, a Regina-based production company. 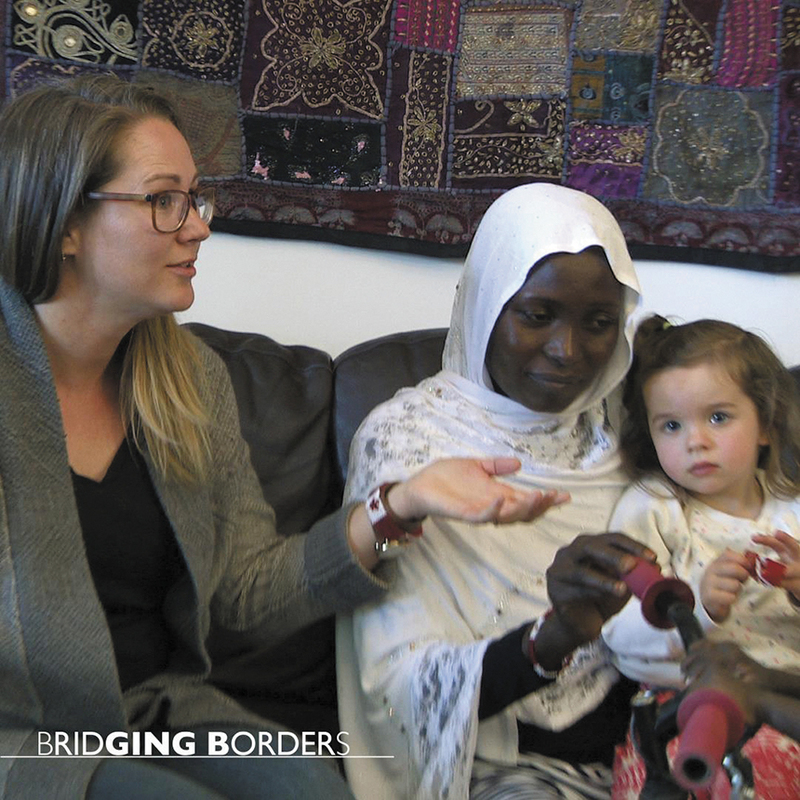 Set in Saskatoon, the “City of Bridges,” each episode depicts a relationship formed through MCC’s private refugee sponsorship program. From a group’s initial decision to sponsor a family and the work of fundraising and preparing a home for them, to the family’s arrival at the airport and the welcome they receive, the episodes capture the excitement—along with the fear and trepidation—that often accompanies a decision to sponsor a family. They also show how friendships are quickly formed between sponsors and newcomer families. Jana Al-Sagheer, MCC Saskatchewan’s communications associate, says Wavelength approached its office last June about doing one episode in a series about how different agencies assist in the work of resettling refugees. The plan was to feature a different agency in each episode. But she says Wavelength was so impressed with MCC’s private sponsorship model that it decided to build the entire series around MCC. Al-Sagheer sees this as positive from the viewers’ perspective. “If people are motivated to help others, then learning about government sponsorships wouldn’t leave them with an outlet to help,” she says. Watching a show about how a group of people like themselves committed to sponsoring a family might inspire viewers to do the same. Filming began two weeks after Wavelength initially contacted MCC. While MCC was not involved in the production process, it did provide content. Dana Krushel and Evangeline Patkau of MCC Saskatchewan’s migration and resettlement office facilitated relationships between the filmmakers, sponsoring groups and newcomer families. 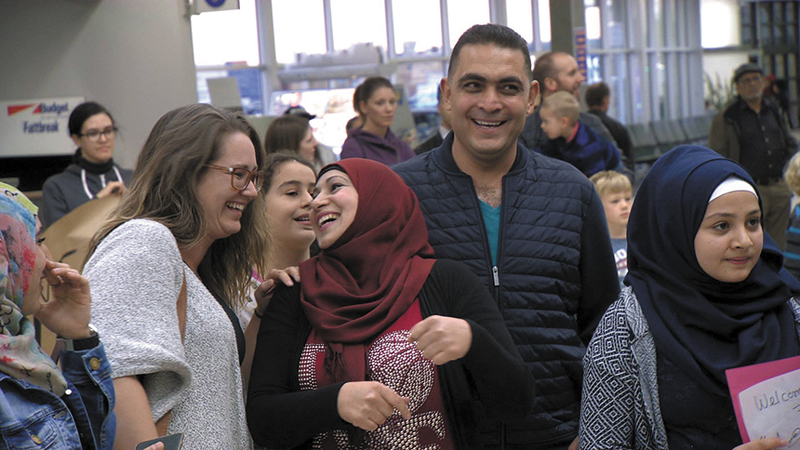 Each episode of the series shows Krushel meeting with a newly arrived family to welcome them and tell them they are no longer refugees, but permanent residents of Canada. The series takes care to refer to these families as newcomers, not as refugees. So far, response to the series has been overwhelmingly positive. Al-Sagheer notes that both MCC Alberta and MCC B.C. screened episodes for their staff during their lunch hours. Plans are underway for a recognition event to celebrate the series. It will also be shown, along with a panel discussion, during MCC Saskatchewan’s annual relief sale in June. Al-Sagheer says MCC Saskatchewan is undecided about whether it would commit to doing a second season of the series, should Wavelength ask. On the one hand, there are many more stories to be told. On the other, the experience was very labour-intensive, particularly for Krushel and Patkau. For its part, Wavelength Entertainment hopes to sell the series to Netflix. Al-Sagheer notes that the private sponsorship model is unique to this country. “Other countries are looking to Canada,” she says, to find a way to deal with the refugee crisis. A wider audience would be welcomed. Al-Sagheer feels the series is important in that “it’s very reflective of the work MCC Saskatchewan is doing internationally and at home.” She says it is important to have a portrayal of a positive, holistic approach to refugee resettlement in mainstream media. The series offers viewers “a tangible way for people to get involved,” she says. 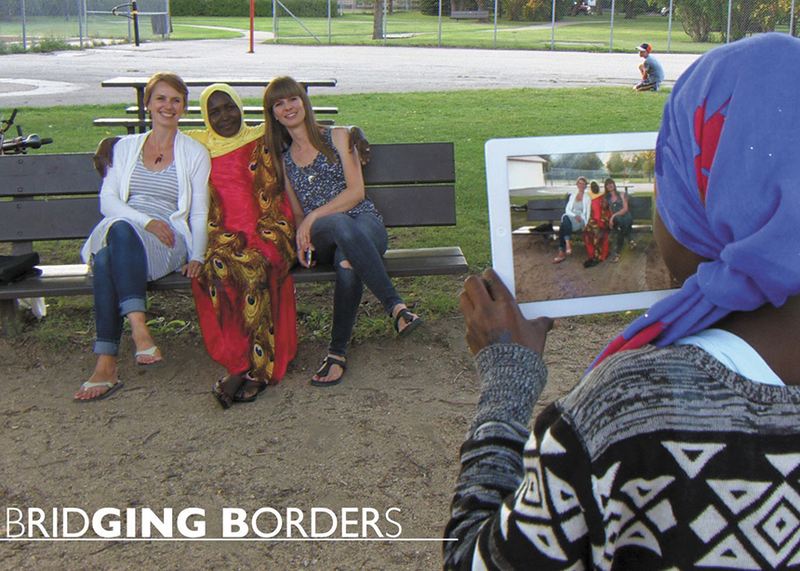 Watch episodes of Bridging Borders online at bit.ly/mcc-building-bridges.